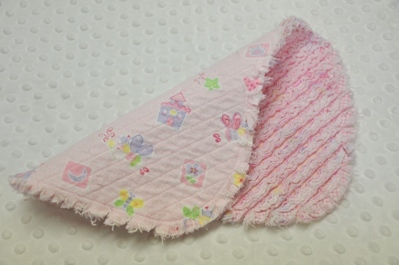 REVERSIBLE and Quilted on the Back too!! And made in only 1 hooping!! 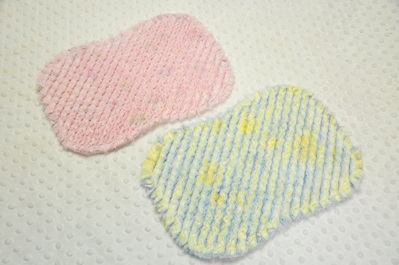 Reversible burps are great - you really get 2 burp cloths in 1! I just love this technique. 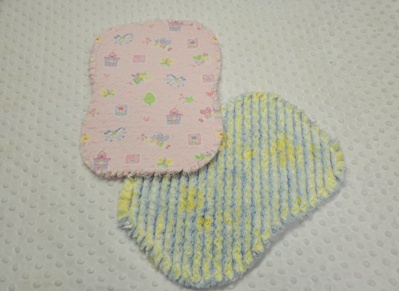 So soft, so sweet and oh SO EASY! 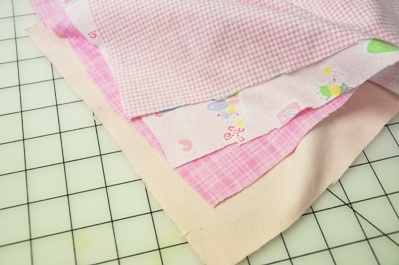 If you can cut with scissors, you can make these adorable Raggy Faux Chenille Burp Cloths. 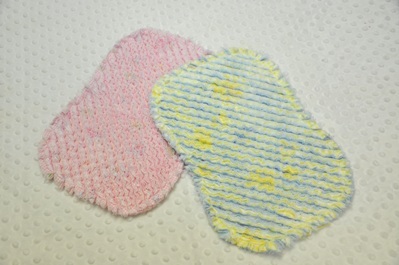 Perfect project for the beginner embroiderer or the seasoned pro. And because they are made in one hooping, they are quick and easy. 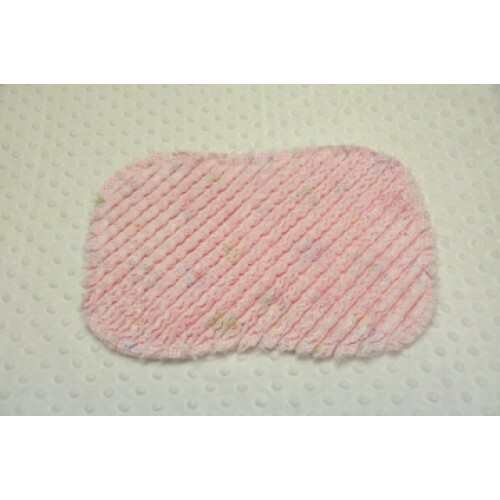 It's amazing how the fabrics turn into the most beautiful textured and soft chenille. Caution - Making these sweet burps can be very addictive! 8x12 (200x300 hoop) and larger commercial machines too. 150 x 250 (6x10 hoop) - Actual design size is 5.81 x 9.96 - Finished size is 6 1/4 x 10.50 inches. 160x260 (6.25 x 10.25 hoop) - Actual design size is 6.22 x 10.22 - Finished size is 6 7/8 x 10 7/8 inches. These burps are not designed for split hoops and should not be resized. NOTE: Please ensure your hoops are large enough to accomodate this design as no refunds are given if the design does not fit your hoop. 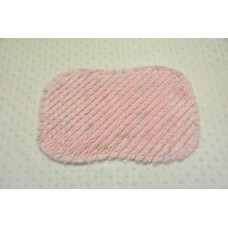 And don't forget - they are reversible, even the back is quilted right in the hoop! As with all of our In the Hoop projects, you receive complete detailed instructions (PDF) with LOTS of easy to follow photos. This is a great design for those new to embroidery or new to in the hoop designs. 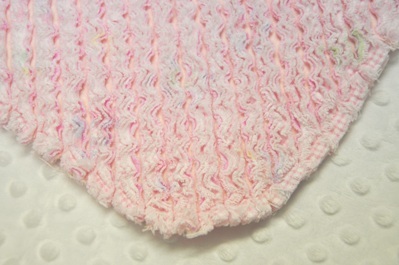 We also offer a Raggy Chenille Bib made in the hoop too! You can find the link in the 'related products' at the bottom of this page.